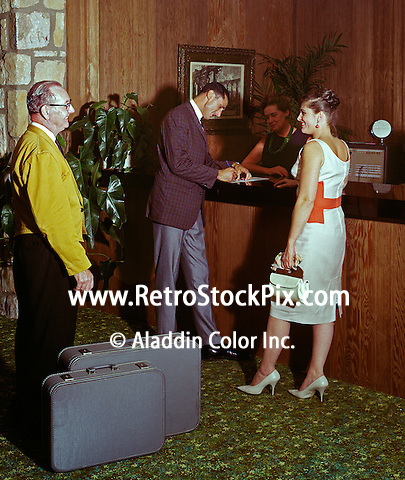 Couple checking in at the front desk. Bellman is helping with the suitcases. 1959 retro photograph.